Diets Don`t Work is a free 8 week weight management and nutrition programme. As a team we encourage weight loss at a steady pace and include different aspects of nutrition to enable you to choose a healthy lifestyle. Our sessions include topics on behaviour change, goal setting, portion size, food labels and physical activity plus other areas to promote a healthier choice. The sessions are delivered in a friendly professional manner within a group setting that offers support throughout the course and afterwards (beyond). Come along and join our course. This is the session where we provide an overview of the course. Complete a small amount of paperwork and inform everyone on the course and of the leaders contact names and telephone numbers. We also take measurements of weight and waist circumference though this is not compulsory. BMI may also be calculated at this stage. All sensitive data is recorded and stored in a confidential manner. 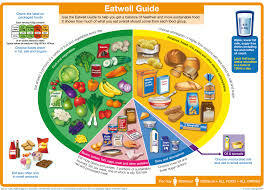 Here we encourage the Eatwell Guide approach to a healthy balanced eating pattern. Answer any queries and hopefully debunk any myths regarding certain food groups. In this session we offer realistic advice on how to understand portion sizes. Including tips on how to reduce portion sizes of various foods without losing taste or flavour and increasing other food groups to achieve a healthy balanced diet. 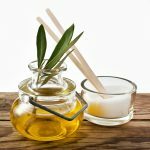 This is our halfway stage and where we deliver knowledge, understanding and practical advice on Fats, Sugars and Salt. We discuss the practicalities with regards to fat in the diet, too much hidden sugar and salt. Visual aids are used to portray the various amounts of hidden fats, sugars and salt in a wide range of foods and offer information on the labelling of certain food items including “Diet”, “Reduced Fat/Sugar”, No Added Sugar plus others. Physical activity is an essential part of weight management – Energy In vs Energy Out. We discuss the health benefits of physical activity and offer a practical taster session free of charge on how to incorporate movement into a busy daily routine. We use visual aids to discover how much physical activity is required to burn off the calories in every day foods. Ever stood trying to work out what all those figures and colours mean on a food label? Let us help you work them out. We will show you how to make sense of all the information displayed on a food label and help you understand how to read the “traffic light system” to make a healthier choice. In this session we discuss the practicalities of eating out and alcoholic calories. We encourage you to make a healthier choice whilst dining out, visiting a coffee shop or the up and coming Baltic Triangle by showing the various healthier choices available. We do not tell you what you can or not drink in the way of alcohol but we do advise on just how calorific some drinks may be. The catch up and final session – here we see how far the group has come over the 8 weeks. It is also an opportunity to cover any of the topics that anybody wishes to go back through. 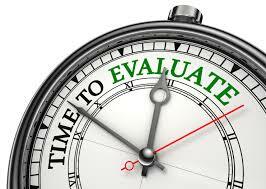 We also retake your measurements and compare them to the initial measurements in a sensitive manner. We discuss how to further and maintain your weight loss and give the opportunity for ongoing and further support.